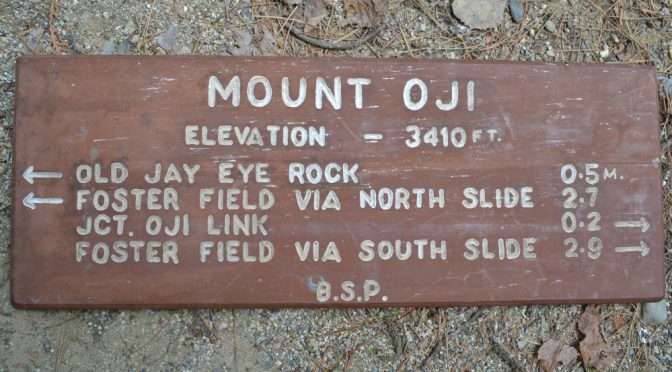 The nonprofit organization that helps support and preserve the wilderness of the 209,644-acre park, is auctioning off retired Baxter State Park trail signs as a fundraiser. 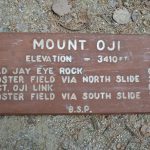 The auction includes 15 signs from favorite locations like Mount OJI, the Saddle Trail, Katahdin Lake, the Freezeout Trail, the Appalachian Trail, Kidney Pond and Mount Coe. A special addition to the auction is the dinner bell from Kidney Pond Camps, a historic Maine sporting camp that is now one of Baxter State Park’s most popular campgrounds. 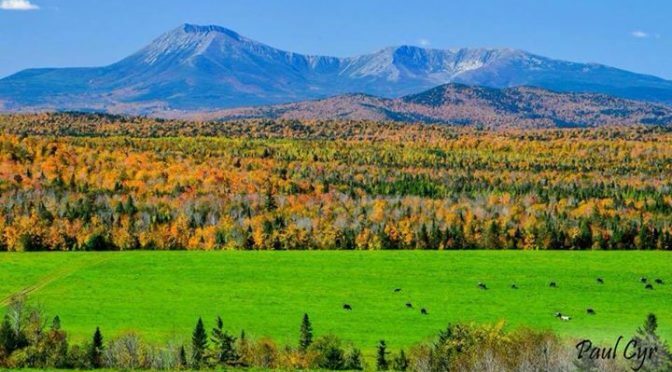 “These signs are one-of-a-kind keepsakes for anyone who enjoys hiking and camping in Baxter State Park” said Aaron Megquier, the executive director of the Friends group, in a news release. Many of the signs are well-worn, showing their exposure to harsh alpine conditions — or in some cases, the park’s resident wildlife. 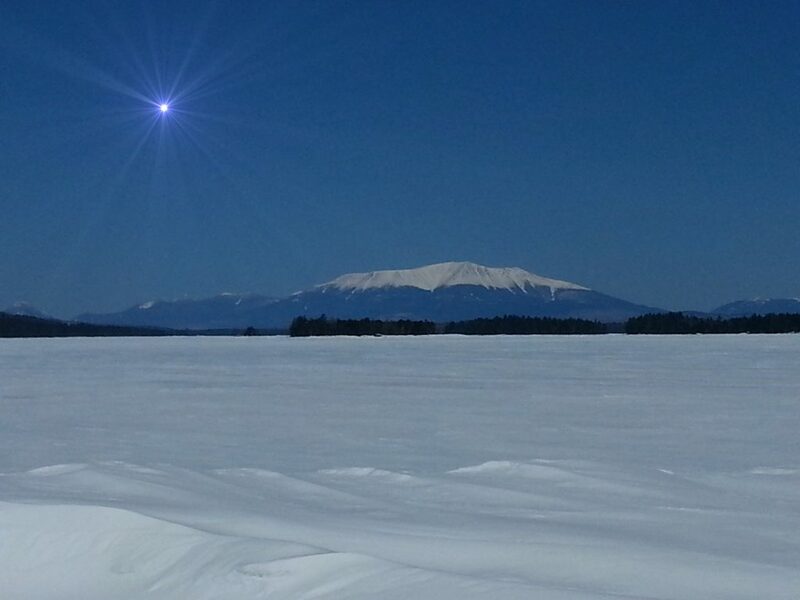 The organization will donate half of the auction proceeds directly to Baxter State Park. 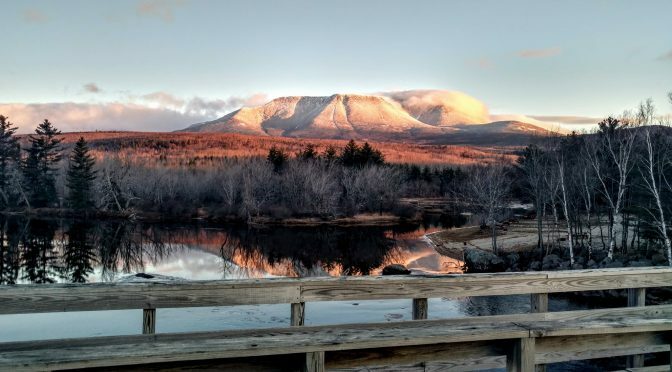 The remaining proceeds will support Friends programs such as the Baxter Youth Conservation Corps, a new program that hires teens from the Katahdin region for summer trail work in the park. Bidding closes at midnight Wednesday, Dec. 6. The auction is entirely online and may be accessed at 32auctions.com/fbsp. “Perhaps I most fully realized that this was primeval, untamed, and forever untamable Nature, or whatever else men call it, while coming down this part of the mountain.” — Henry David Thoreau. Thoreau’s impression of the Maine North Woods, penned during one of his three trips to the region in the 1840s and 1850s, more than likely would have been different had he visited in winter today. Though the woods still appear primeval in some spots, the hand of man is evident since Thoreau’s days. 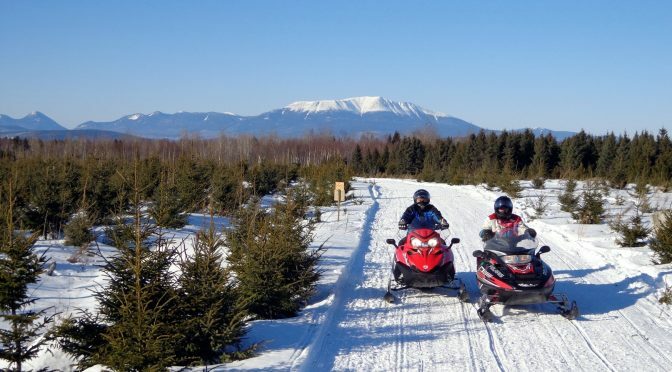 This winter, the first visitors will explore Katahdin Woods and Waters National Monument by snowshoe, snowmobile, and skis. They’ll find an inviting landscape of thousands of acres of backcountry. Lucas St. Clair, whose family donated 87,500 acres through its Elliotsville Plantation, Inc., nonprofit to the federal government in late August to create the monument, recalls: “Some of the more memorable experiences for me over the years have been going in the winter to really remote sections of the monument on skis. You just see so much stuff that you typically don’t see. Moose at really short range. You can see all the tracks so much more clearly. “It’s really cool to be skiing along and see all these lynx tracks and drops of blood in the snow where a lynx had eaten a rabbit. You don’t see that stuff in any other season,” he adds. 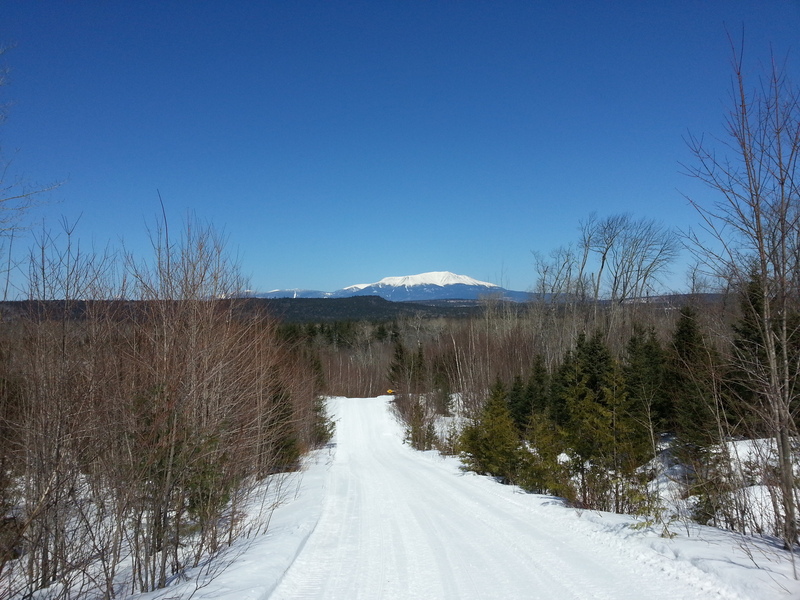 Elliotsville Plantation, has cut roughly 20 kilometers of crosscountry ski trails near the northern tip of the monument, and 32 miles of snowmobile trails over the years. 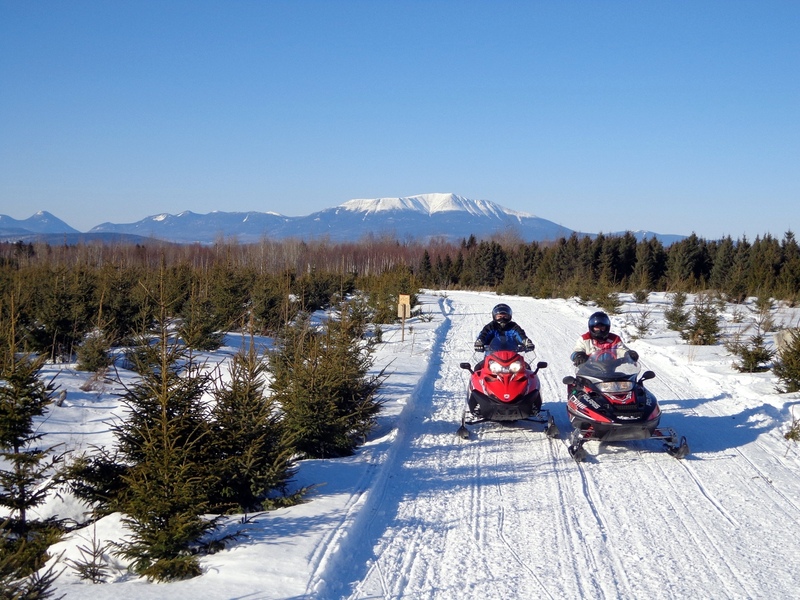 Those trails, with their connections to Baxter State Park and other snowmobile routes, offer nearly 100 miles of trail to explore. Mount Chase Lodge is just 16 miles from the monument, on Shin Pond, operated by the same family for past 40 years. They have private cabins, main lodge rooms, with fare such as pan-seared salmon with blueberry chutney and grilled marinated Portobello mushrooms. 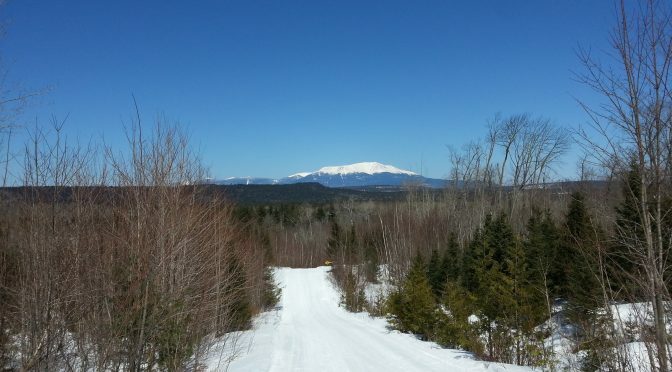 The Matagamon Wilderness Lodge’s cabins can handle up to a dozen, and it’s right at the entrance of the monument’s cross-country ski trails.